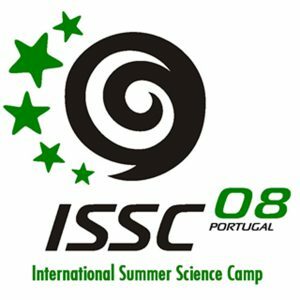 The International Summer Science Camp (ISSC) is a weeklong camp, and the 3rd edition will be organized in Lisbon, Portugal, in August 2008. ISSC mainly aims at promoting science and technology among youth, from all over Europe. The camp welcomes youths, between 16 and 25 years old, from all over the World (9 countries on last edition) with a common interest in science and technology. Anyone who wants to apply for ISSC’08 must send an e-mail to issc@ajc.pt. ISSC 2008 will take place in Lisbon between 2nd and 9th of August 2008. 22/07/2008 End of fee payment period. The participation fee amount is 90€. It includes accomodation in the youth hostel, entrance fees, transfers during the stay and meals. We have capacity for 60 persons. Lectures and most of the activities will be held at Instituto Superior Técnico (Engineering Faculty of the Technical University of Lisbon). The program also includes social and cultural spare-time activities. This allows people from different cultures with different backgrounds to get to know each other and share their points of view. The campers enlarge their scientific and cultural knowledge while experimenting and learning from experts. 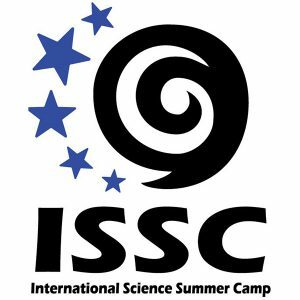 In 2008, the ISSC program will focus on the connection between the Science in the Past and Future. Participants will discuss and be an active part of a small text book produced during the ISSC where the main ideas and debates conclusions are exposed. ISSC gives young people an opportunity to have science at reach and touchable. Semi-formal wear to look nice in the opening ceremony and farewell party. Walk to our meeting point. It all started with the organization of the 1st young science meting (1º Encontro Juvenil de ciência) in 1983. After a few years and as a result of great success in the meeting, AJC was founded in 1987. Today we are about 1600 young people from everywhere in Portugal. We are the only scientific association in Portugal that is organized and managed only by young people, and we are one of the founder members of MILSET. As important activities, we can talk about EJC and EJI. EJC is a scientific meeting that occurs in the beginning of September and it last of about 12 days, every year. EJI is a Expo Science, where people from 13-18 years old show their scientific works. EJI is usually during the Easter holidays. We have many other activities all over the year like scientific weekends, lectures, discussions, etc. We also have working groups in different scientific areas, we can name GTA that is the most active group with research and workshops in schools all over the year, constructing powder micro-rockets. Please visit our web site http://www.ajc.pt.